Ease of doing business has helped businessmen and dealers to spread out their network. 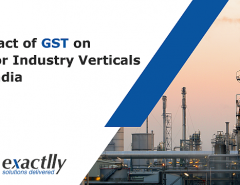 The GST has aimed to bring together the entire country into a single unified marketplace where buying and selling can take place, irrespective of the state of manufacture or supply. Such a distributed system of supply of goods and services paves the way for setting up manufacturing units across the country in order to cater to customers all over. A business may have its head office, the apex body controlling the other units, in one location and branches and units in other locations – therefore a business could be spread out across states and union territories. Therefore, it becomes imperative to have proper control, operation, and management of the business. This is crucial when it comes to billing and generating invoices – the centralized billing is usually conducted by the head office. In doing so, the input tax credit (ITC) that is paid on common inward supplies gets accumulated under the various branch units. So, to avoid the accumulation of ITC, the concept of Input Service Distributor (ISD) has been introduced by way of the CENVAT Rules. 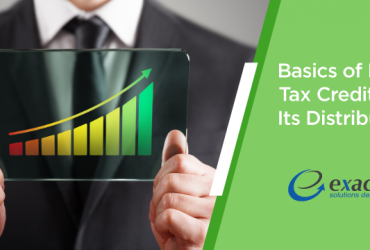 Under this, the head office of a business may calculate and distribute the ITC to the various branch units so eligible in manufacturing or rendering of taxable services. Therefore, the head office is the ISD. How does the Head office make the ITC distribution? The head office is required to obtain registration as an ISD so it can distribute ITC. It also must file returns on a biannual basis. The head office shall receive service tax invoices for availing common input services and be responsible for distribution of ITC to all the eligible branches upon issuance of an invoice or challan. The GST regime has also incorporated the concept of the ISD. Under the GST, ISD is defined to mean “an office of the supplier of goods and/or services, which has received input services under the cover of tax invoice, and is allowed to distribute the said tax credit to the supplier of goods and/or services registered under the same PAN.” Therefore, the ISD is a head office (may be the central corporate office, regional office, administrative office, depot etc.) affiliated with a taxable person who will distribute the ITC to the eligible branch units. 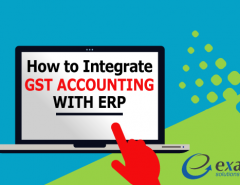 Additionally, it performs the functions of receiving tax invoices towards the receipt of the inward supply of services and distributes the ITC towards such inward supply to the various branch units that has consumed such services and have availed of ITC by issuing an invoice. To be eligible as an ISD, it is mandatory to be separately registered – keep in mind that there is no threshold limit for such registration to take place. However, in case of a business already registered as an ISD under the erstwhile regime under the CENVAT Rules, it needs to have a fresh registration under the GST regime – as there is no carrying forward of such registration from the old to the new regime. How will the Distribution Take Place? F&M Clothing is located in Mumbai, Pune, Bangalore and Kolkata. The Mumbai unit is the registered ISD by virtue of being the head office. They are engaged in procurement of services used by the various other units. In the event that the Mumbai branch (head office) receives an invoice of INR 5,00,000 with GST of INR 90,000 (CGST INR 45,000 and SGST INR 45,000) towards promotion and marketing services against the Pune branch. The ITC shall be distributed as INR 45,000 each as the CGST and SGST. Keeping in mind the above example, if the Mumbai branch (being the head office) of F&M Clothing receives an invoice of INR 5,00,000 with GST of INR 90,000 (CGST INR 45,000 and SGST INR 45,000) towards promotion and marketing services against the Bangalore branch. The ITC shall be distributed as INR 45,000 as the IGST (cumulative of the CGST and the SGST). What are the Form Filings that need to be done? Form GSTR-6A – To be filed on the 11th of every subsequent month with respect to the details of all inward supplies made available to the recipient of ISD, bearing details of form GSTR-1A so provided by the supplier. 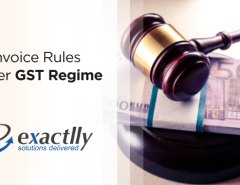 Form GSTR-6 – to be filed on the 13th of every subsequent month with respect details regarding ITC so distributed. 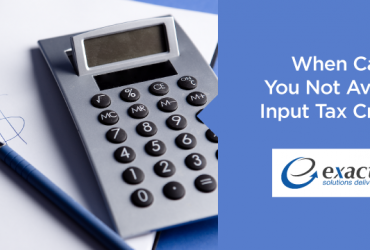 Next Article When Can You Not Avail of Input Tax Credit?